Standard 147 was scheduled to leave for the Living Museum of the North at Beamish on 29th February, in an exchange loan for Marton Box Car 31 which would be coming south to Blackpool for the season. 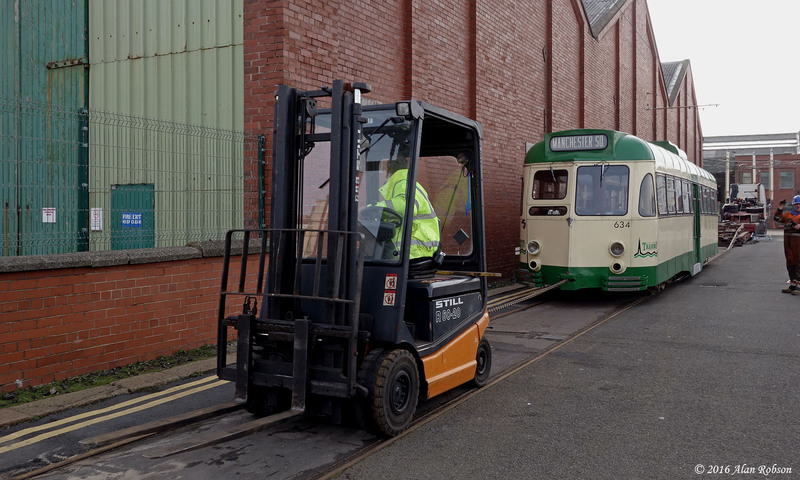 147 was shunted out of the depot onto Blundell Street by Engineering Car 754 before 0800 in readiness for loading. 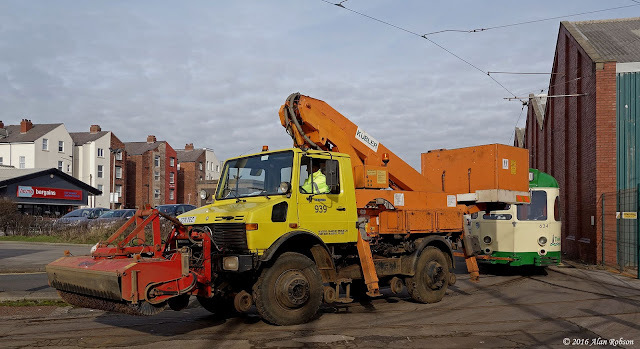 An early start to the day had been planned, but although the low loader left Leeds at 0630, it was a full seven hours later that it eventually turned up in Blundell Street at 1330, apparently due to a problem with the vehicle. 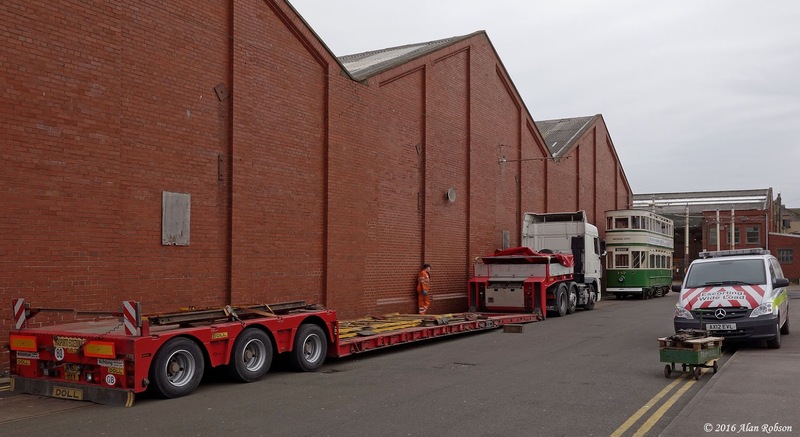 The loading process took most of the afternoon, with Calkeld Heavy Haulage departing from Blundell Street at 1635, with 147 safely chained down on the trailer in preparation for the long journey north to Beamish in County Durham. The second day of the February Heritage Tram Tour weekend continued on Sunday 28th February, with a mixture of sunshine and cloud. The gold timetabled service was in force again, with trams 40, 230, 648, 723, 272/T2 and 675/685 in use throughout the day. 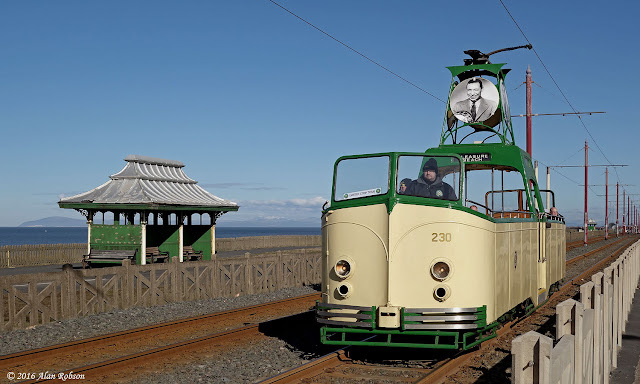 Boat 230 was used once again on the heritage service, despite it only being 2 deg C at 0900! The second Heritage Tour weekend of the year started on Saturday 27th February. 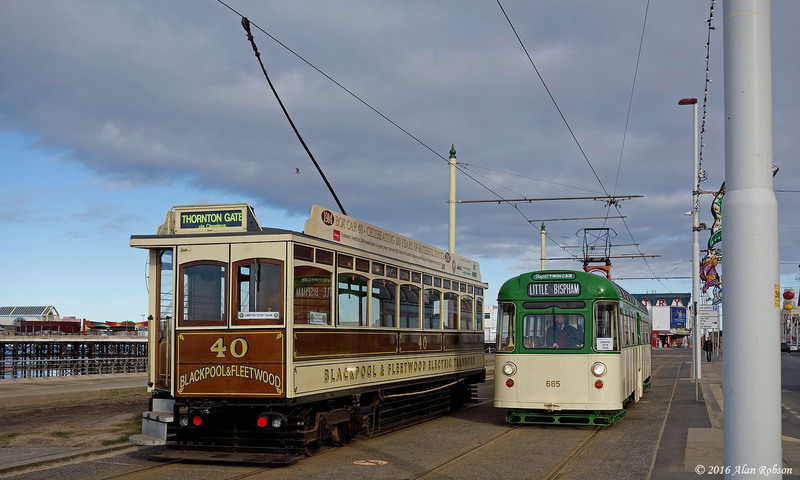 A gold timetabled service was in operation, with heritage trams 40, 147, 230, 715, 717 and 272/T2 opening the days proceedings. This was to be Standard 147's last outing in Heritage Tour service before the tram goes on loan to the Living Museum of the North at Beamish. Boat 230 made a rare winter timetabled journey to Fleetwood, despite the rather cool weather. 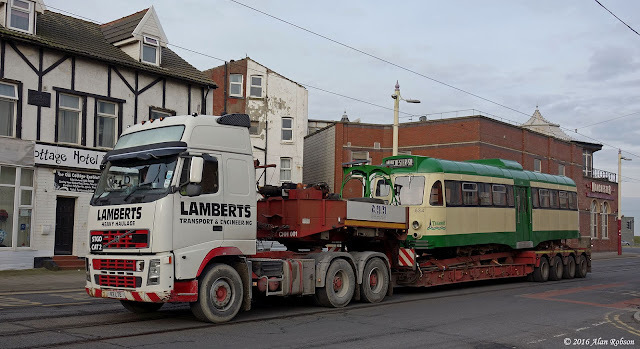 After Calkeld Heavy Haulage had delivered Brush Car 634 to Rigby Road depot they then headed north up the Fylde Coast to Fleetwood. 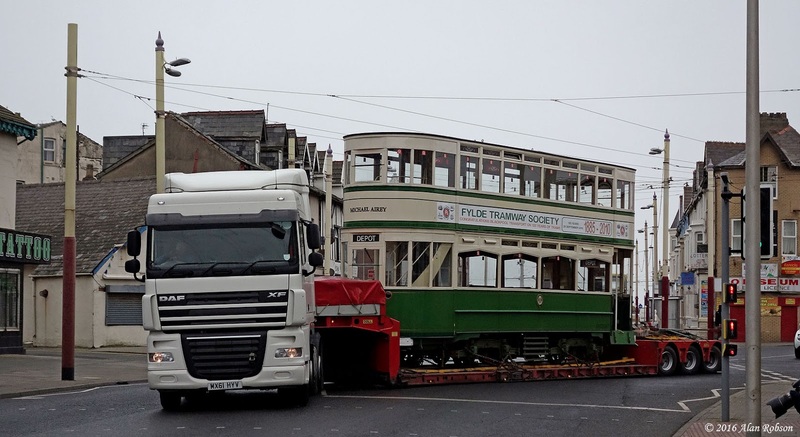 Calkeld's next assignment was to collect Twin Set trailer car 681 from the Wyre Fish Dock at Fleetwood and transport it back to Blackpool. 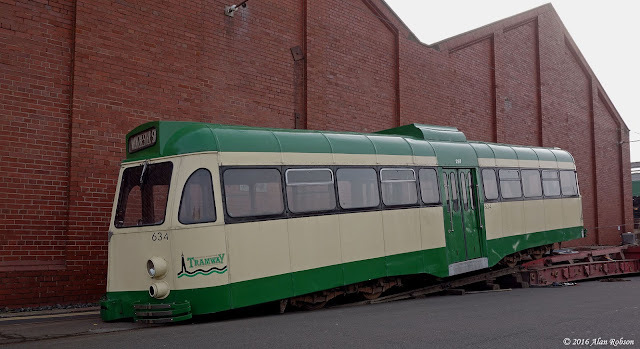 681 has been a rather itinerant tram, first purchased by Merseytravel as part of an aborted tramway project on the Wirral, the tram was stored for several years in an open yard at Knowsley in Merseyside. 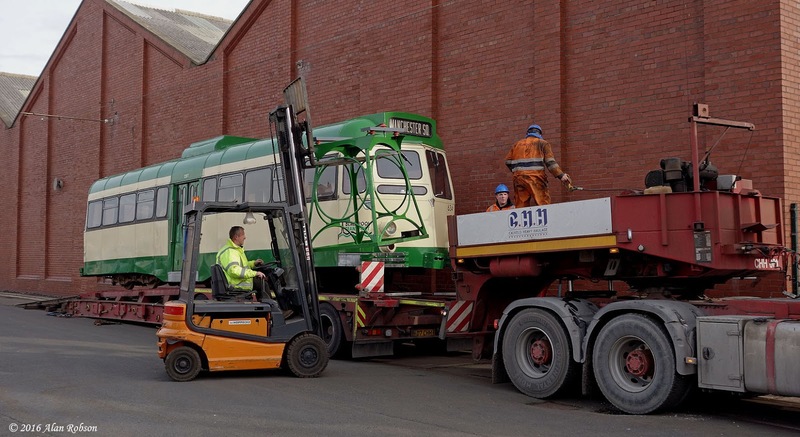 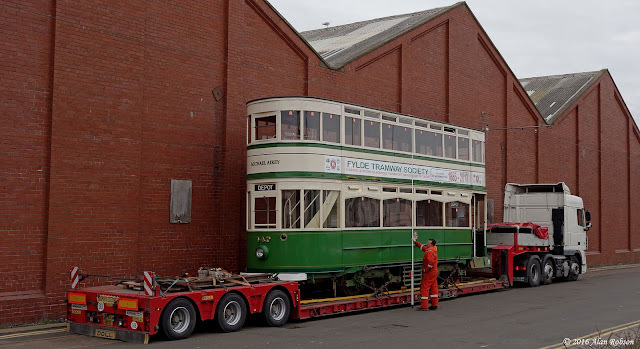 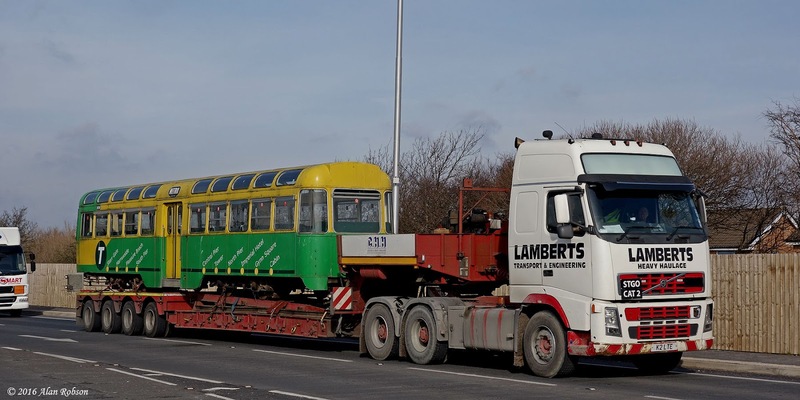 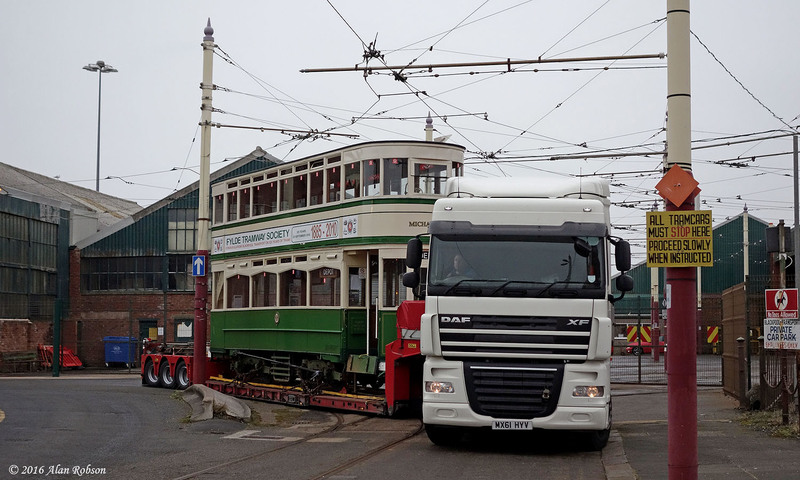 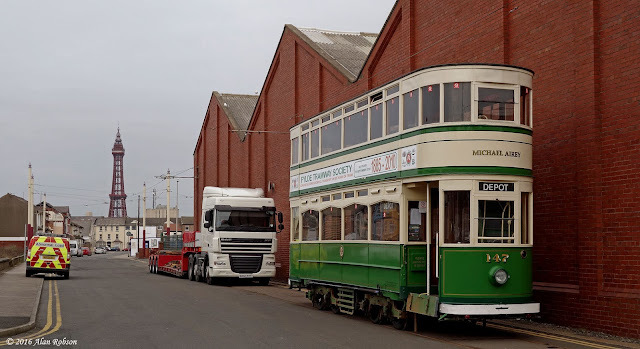 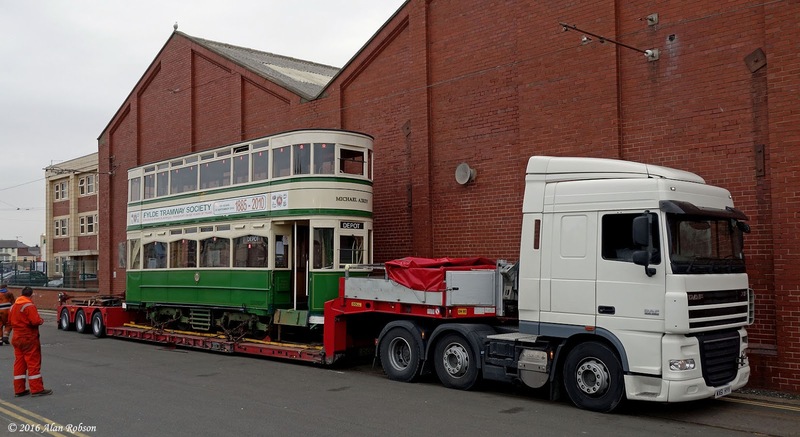 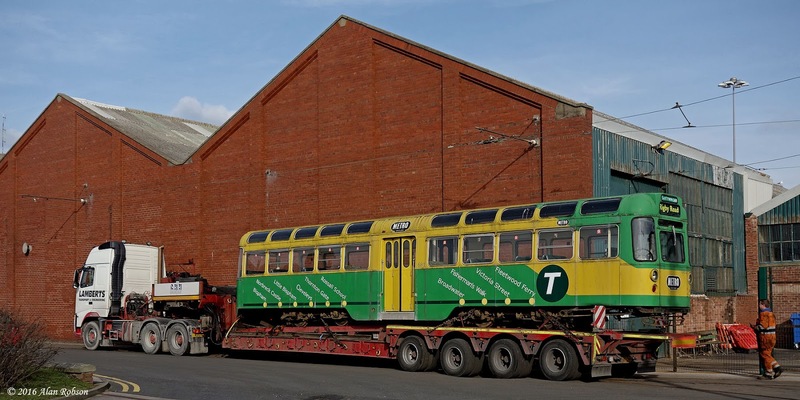 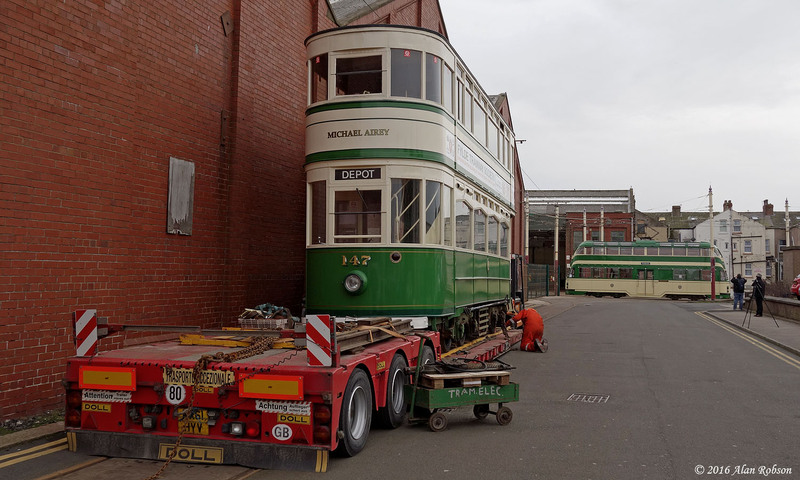 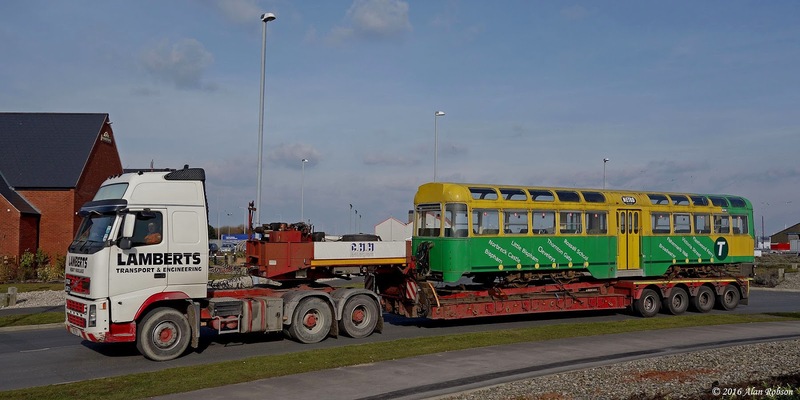 When Merseytravel no longer had a need for their ex Blackpool trams, several of them were purchased by a private individual and moved to Fleetwood for storage. 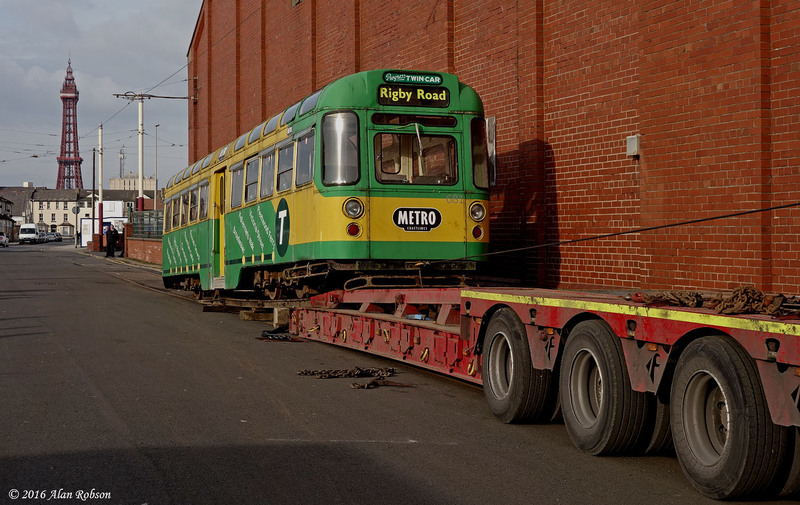 The decision to purchase trailer 681 and reunite it with motor car 671 at Rigby Road is for a future commercial venture. 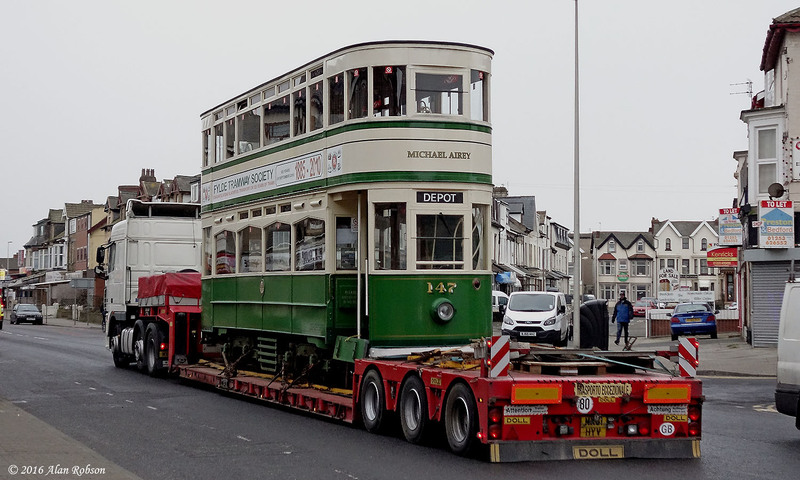 Brush Car 634 returned home to Blackpool on 26th February after six years in exile. 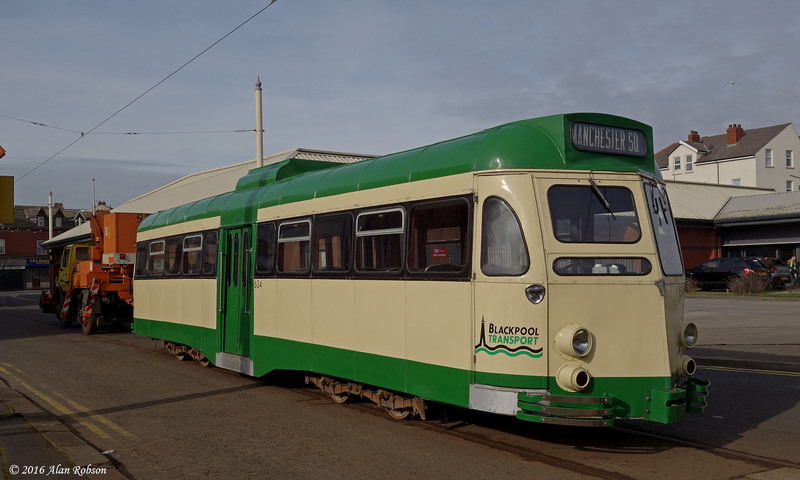 634 was purchased from Blackpool Transport in 2009 by Andy Ashton for private preservation, the tram was in outside storage for several years at Rushden, where Andy and his daughters spent a lot of time restoring both the outside and particularly the inside of the tram into its current excellent condition. Latterly 634 has been a resident at the North East Land, Sea and Air Museum at Sunderland for a couple of years, from where it began its journey back to Blackpool on 25th February. 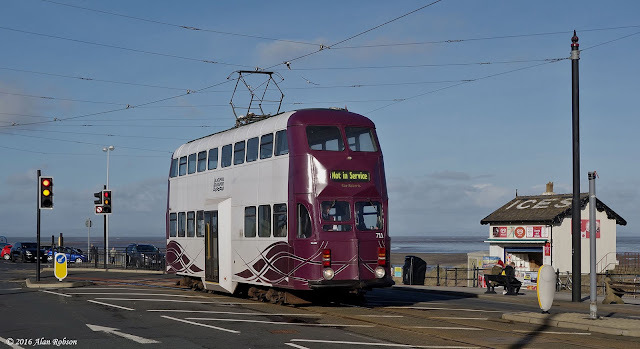 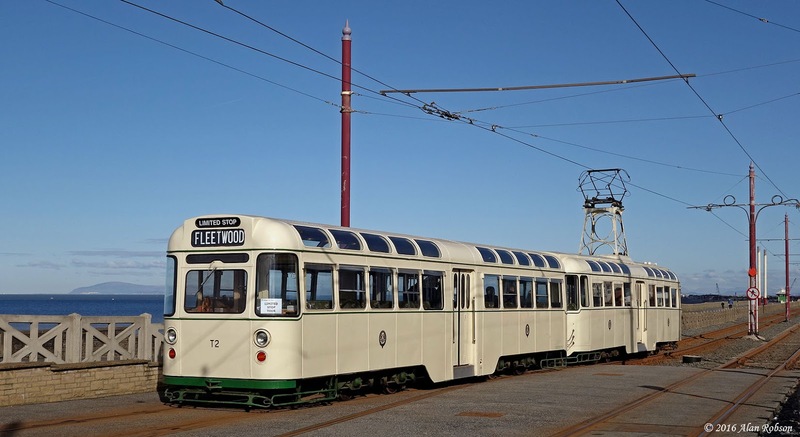 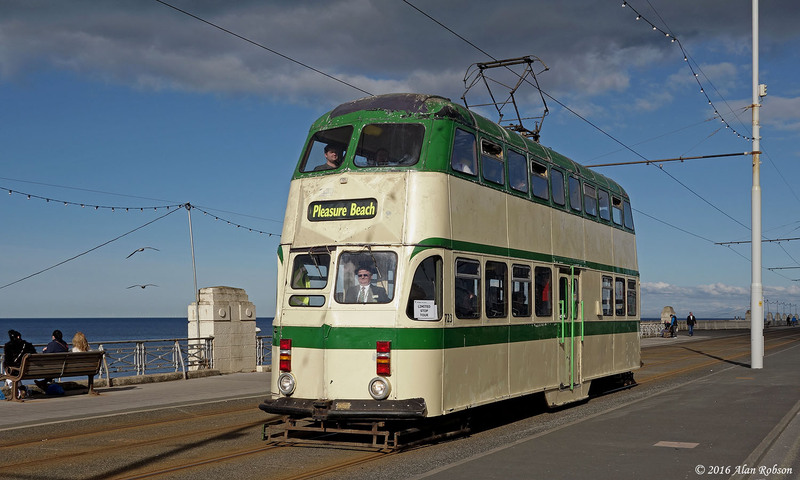 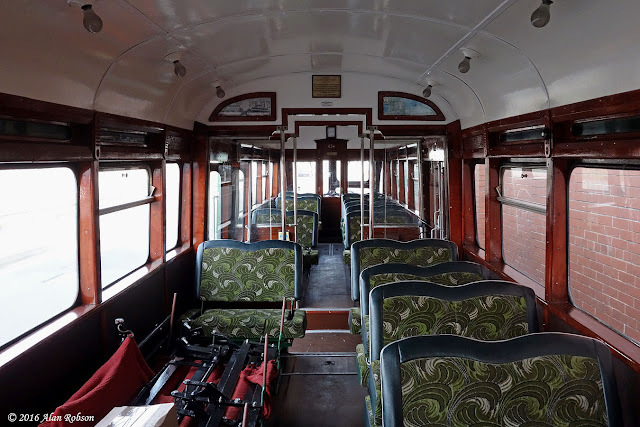 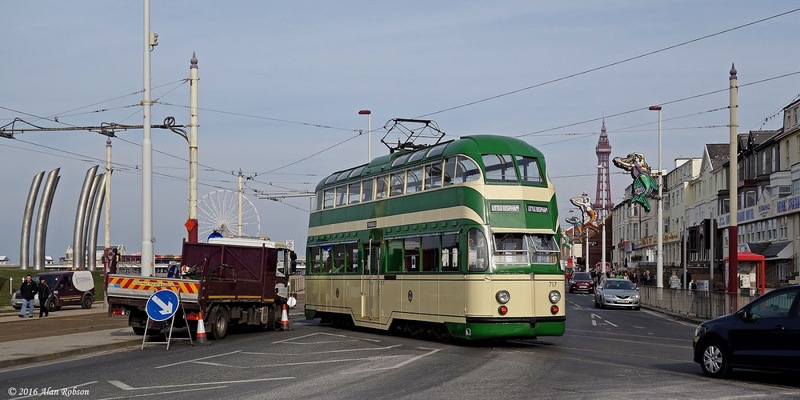 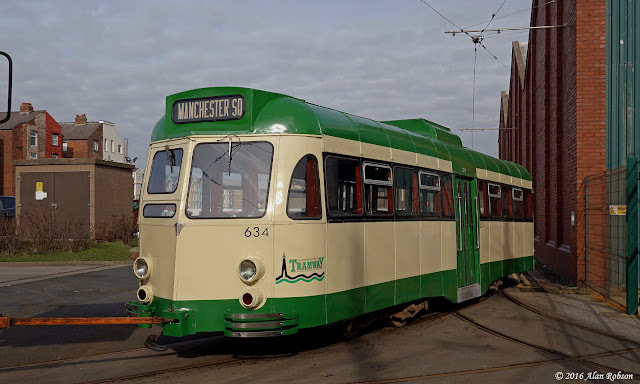 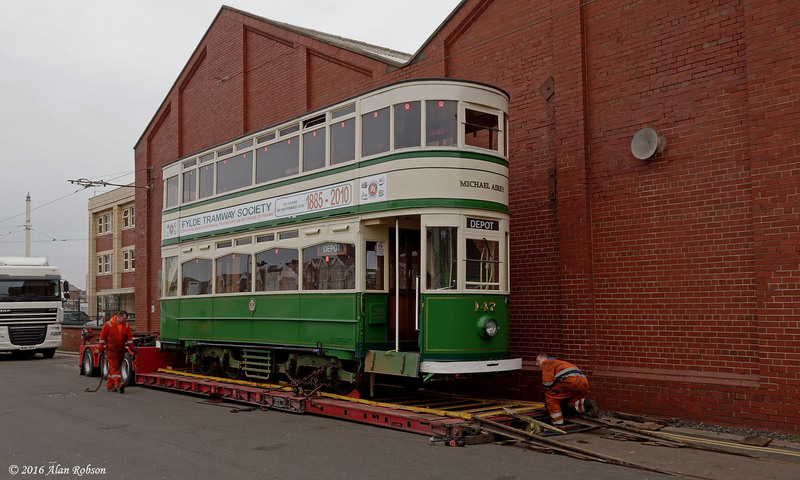 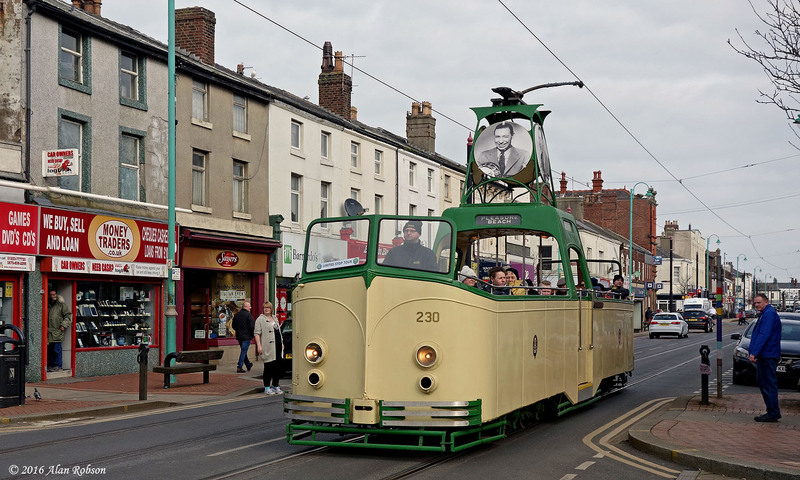 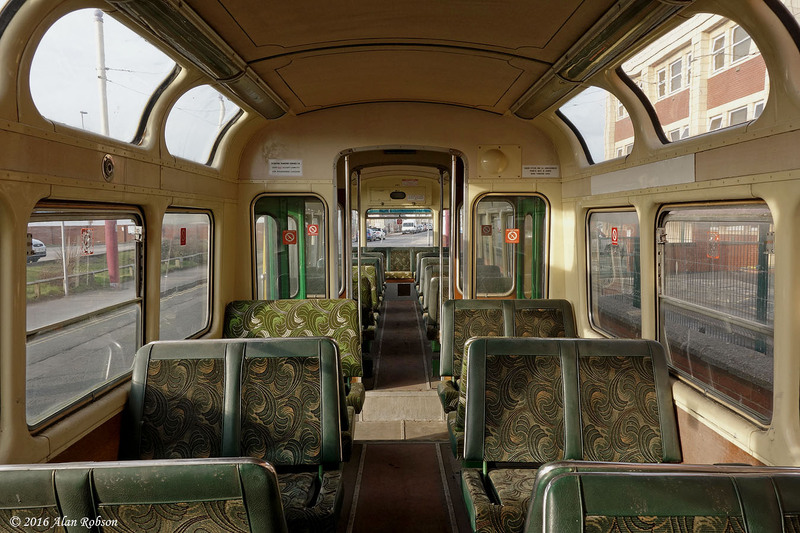 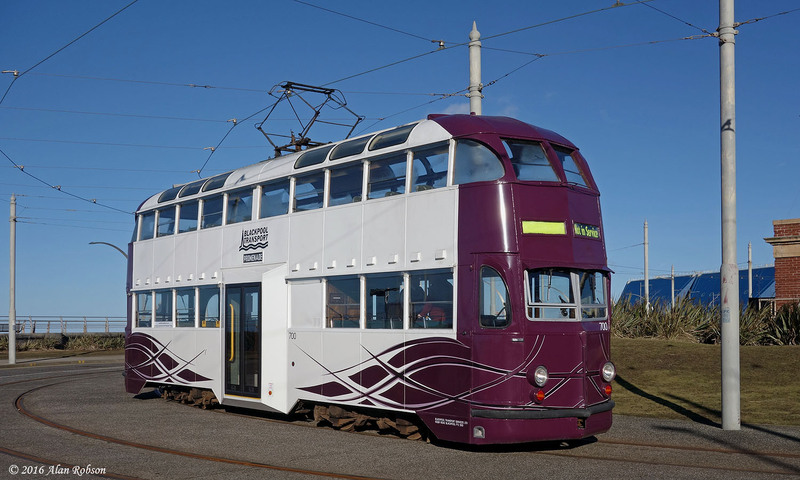 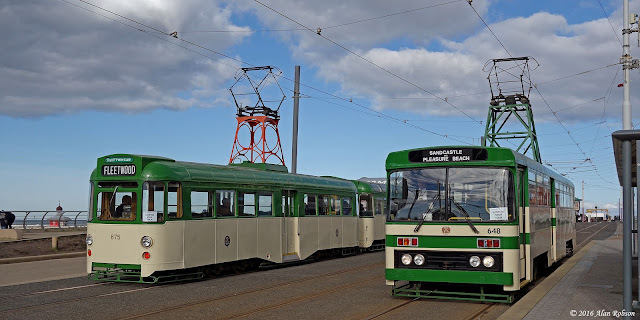 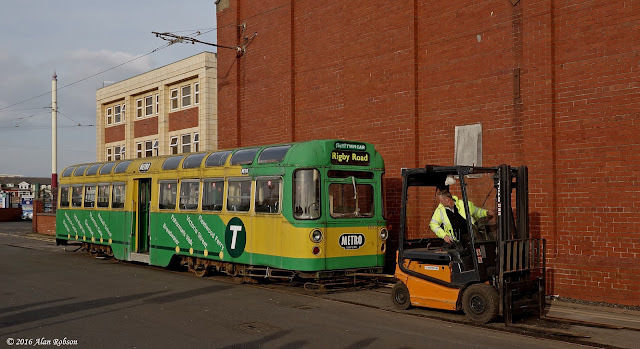 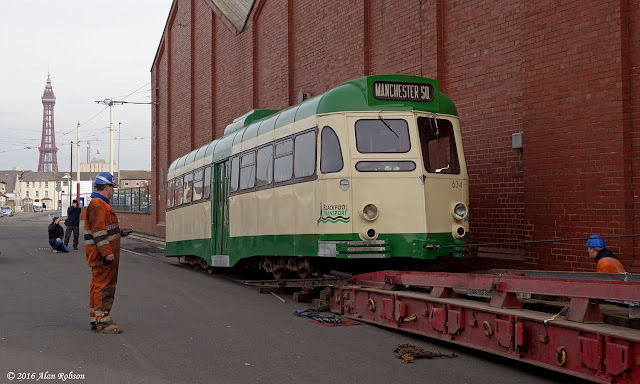 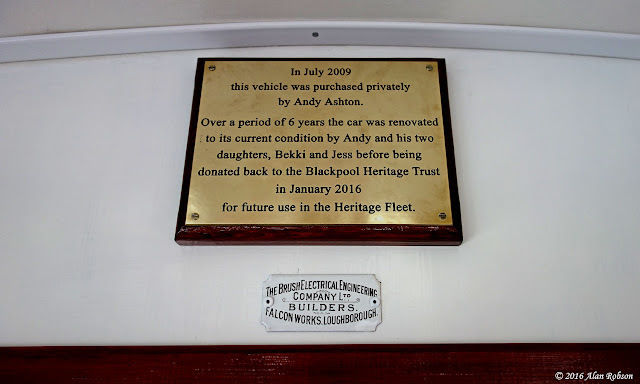 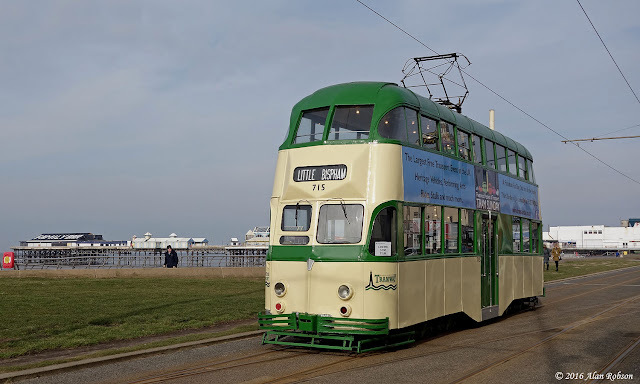 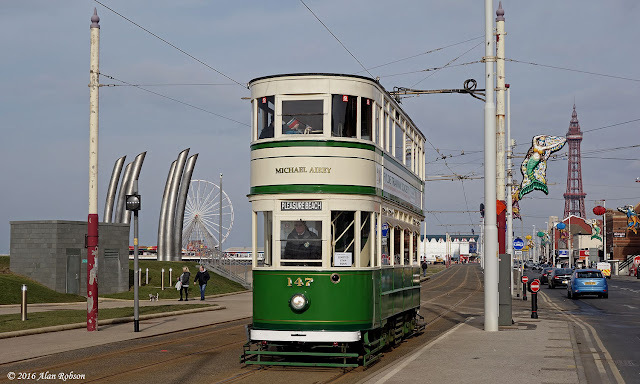 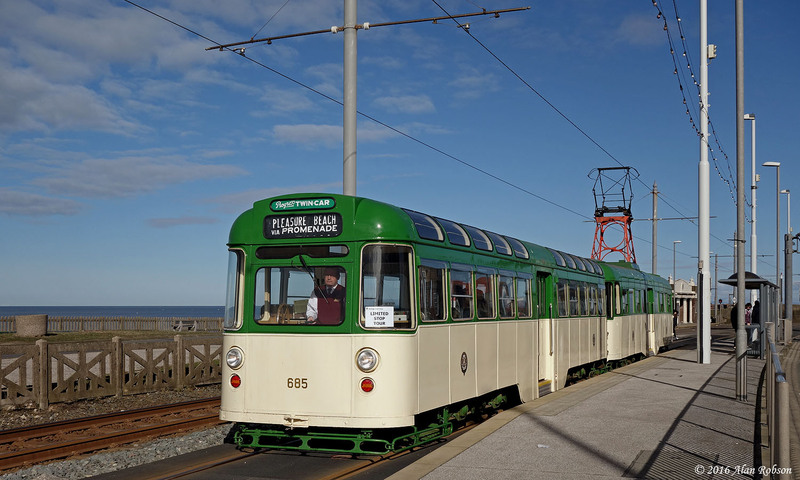 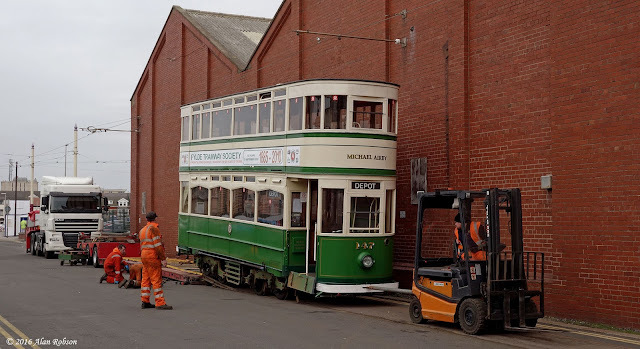 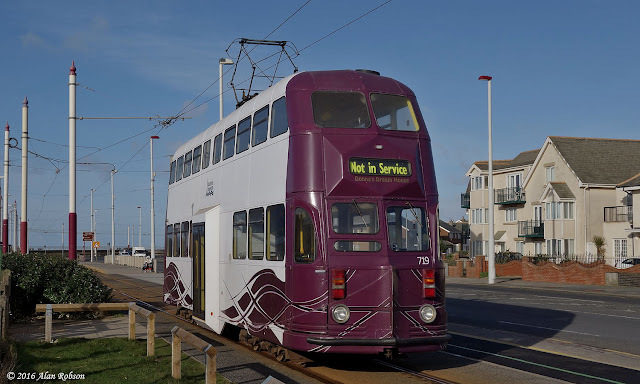 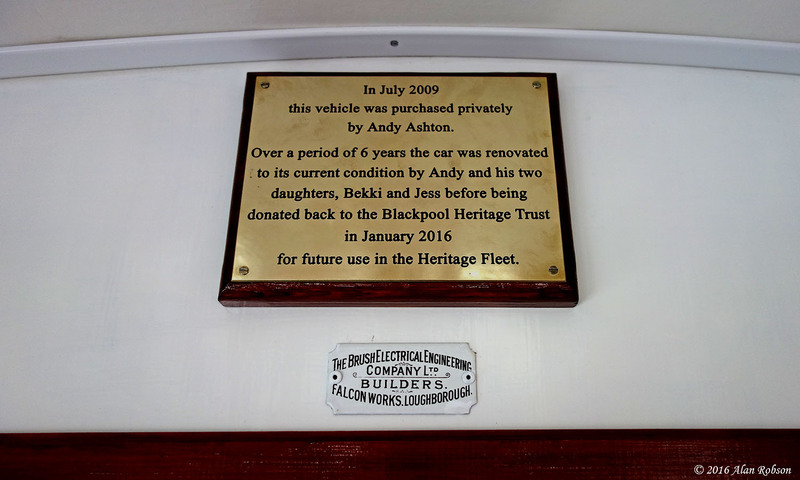 Andy has kindly agree to donate 634 to the Blackpool Heritage Trust, so that ultimately the tram can become part of the active heritage fleet, and once again operate on its home rails along the Promenade. 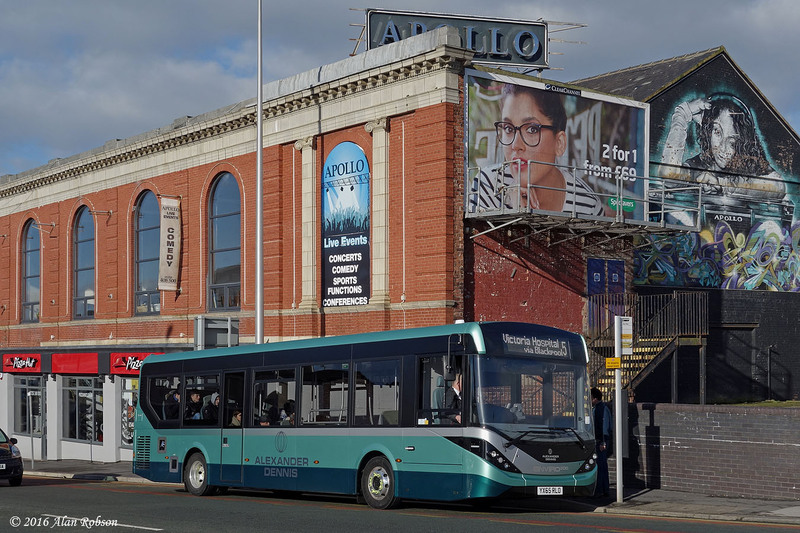 Blackpool Transport are currently evaluating an Alexander Dennis Enviro 200 single deck demonstrator. 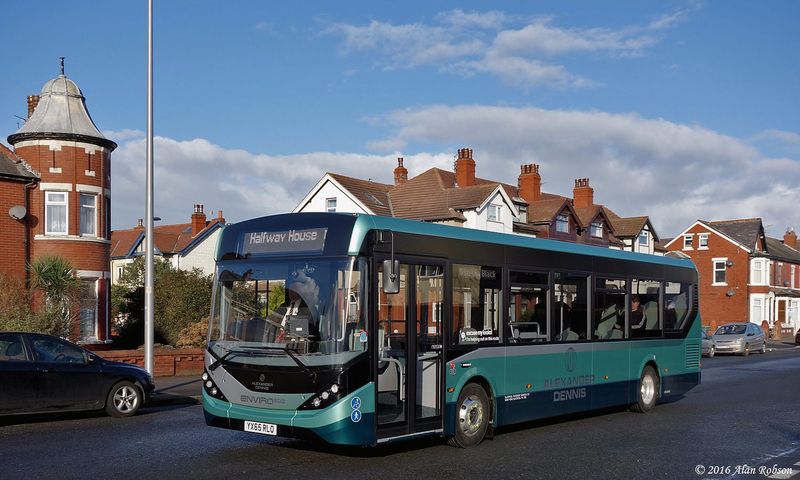 YX65 RLO is being trialled in passenger service alongside BTS's own Palladium branded Mercedes Citaros on the service 5, that runs between Halfway House and Victoria Hospital. 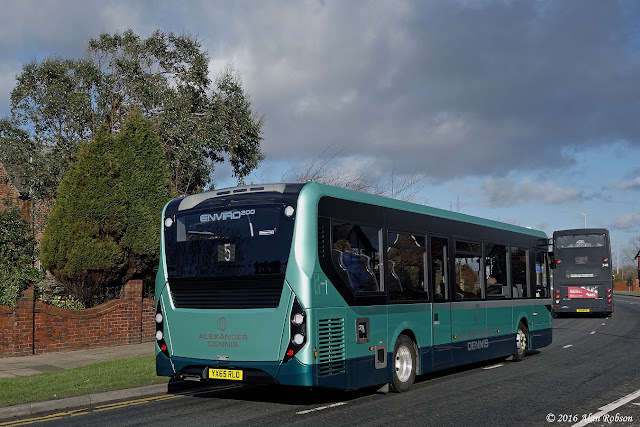 BTS currently have on order ten ADL Enviro 400 City double deck buses, that are due to be received later this year for use on service 9. Construction on the new tram stop at Norbreck North is progressing well, both of the platforms are now finished, with the final coat of tarmac now in place along with the new lighting stanchions. 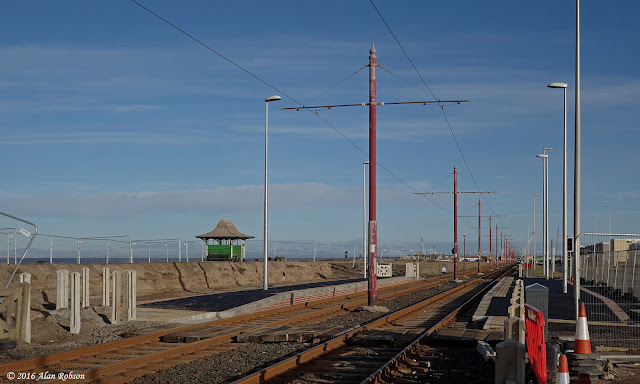 Work still remaining to be done includes adding the fencing, shelters and tram stop name posts, and laying of the safety plates in between the rails. 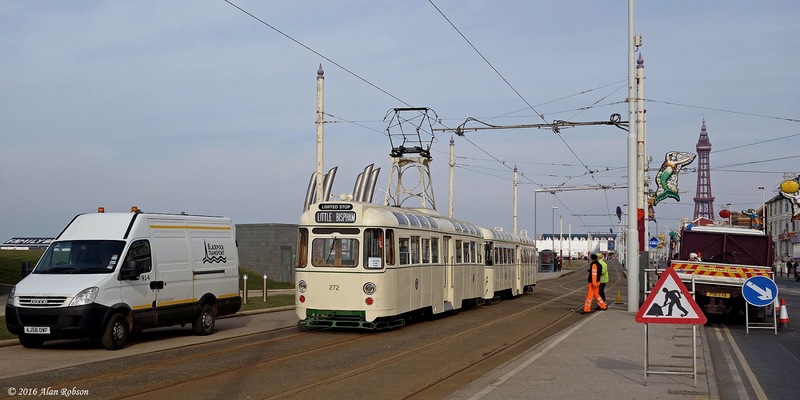 Balloon 700 was noted in use out on the Promenade on driver training duties again on Wednesday 10th February. 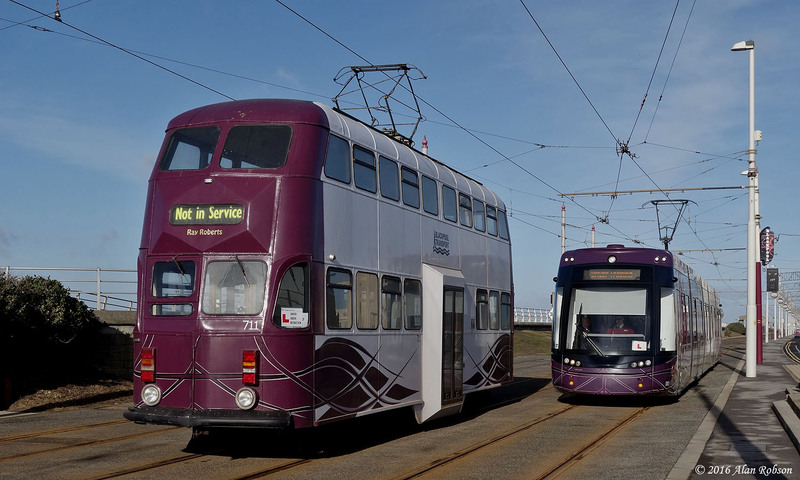 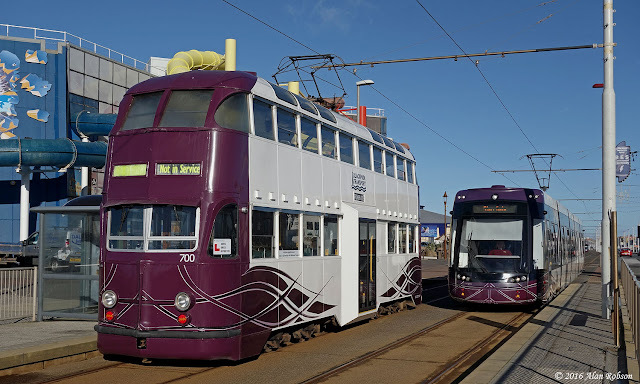 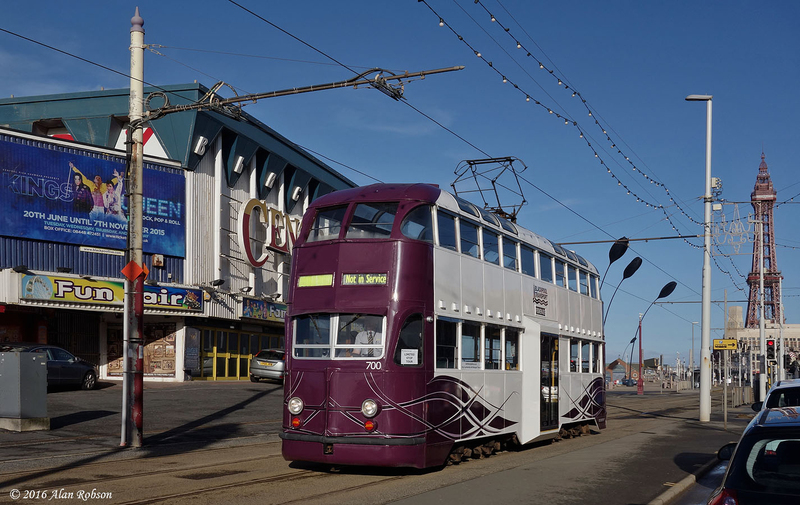 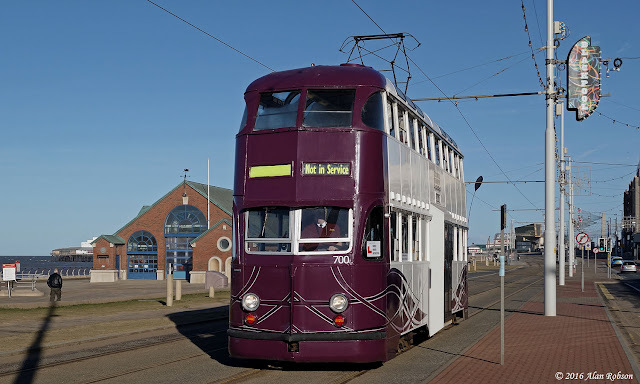 Wednesday 3rd February saw no less than four purple and white trams in use on driver training duties in Blackpool. 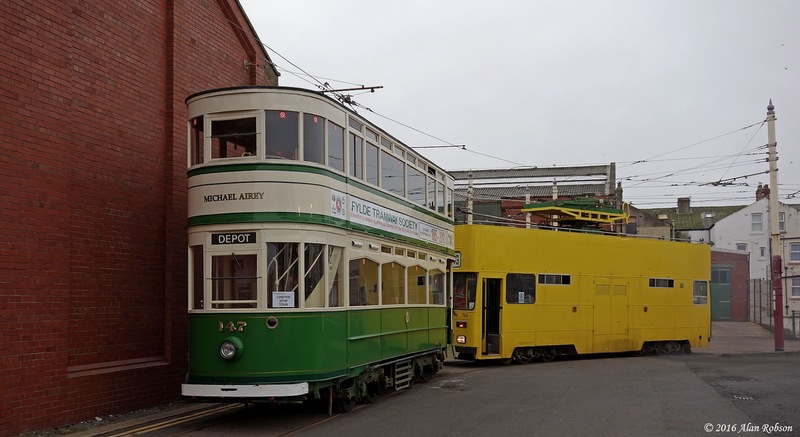 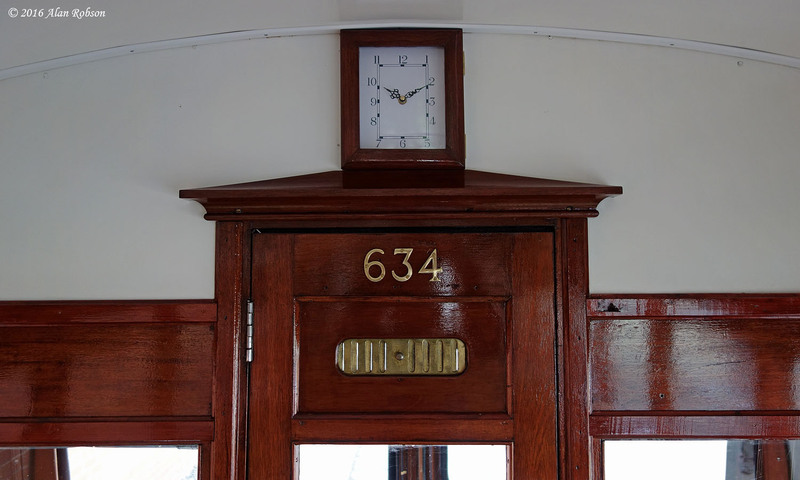 Fat door Balloons 700, 711 and 719 were in use training Heritage Tram drivers, and Flexity 003 was also out on the Promenade training service tram crew. 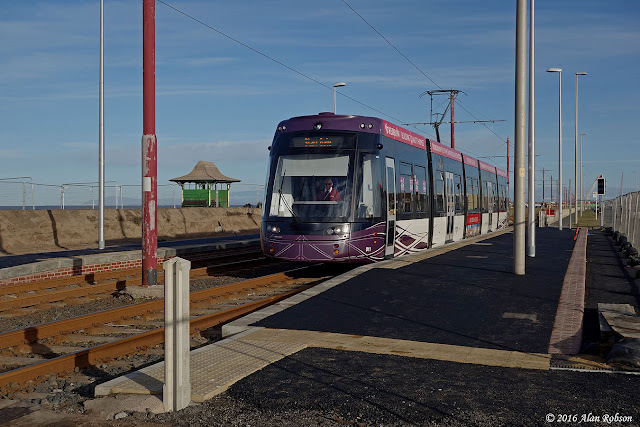 The purple Balloons ranged over the full system throughout the day, from Starr Gate to Fleetwood Ferry.